We have just completed our first Kenya outreach for 2018. 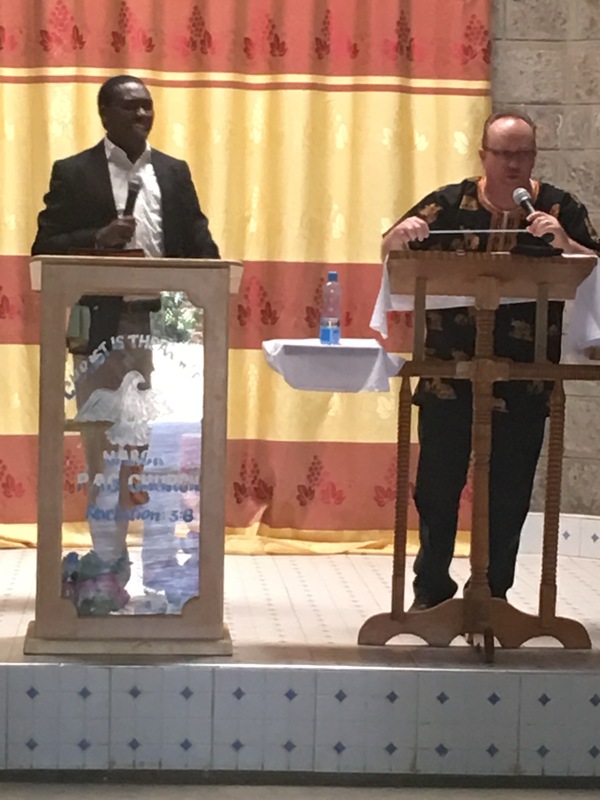 Last week, Evangelist Mike Joyner and I traveled to Narok, Kenya where we conducted our Revival Now Kenya yearly Staff meeting, led the Narok Pastors Conference sponsored by the Narok Pastors Fellowship & Revival Now International, as well as ministered in an open air meeting in the market in downtown Narok. God did not disappoint us at all! On Wednesday we spent the entire day praying, ministering to our Kenya staff as well as finalizing our calendar for 2018. I thank God for the unity God has given us with our team there in Kenya. To be able to accomplish all we do in Kenya it takes people with different gifts and talents that can see God’s mandate for revival, equipping and impartation for rural pastors as well as those who are not affiliated with any large denominational group that can give them access to basic Bible training. Over and over during the Planning Meeting, The question kept coming to me: how can we minister in every place that is crying out for our ministry to come touch them? God knows! 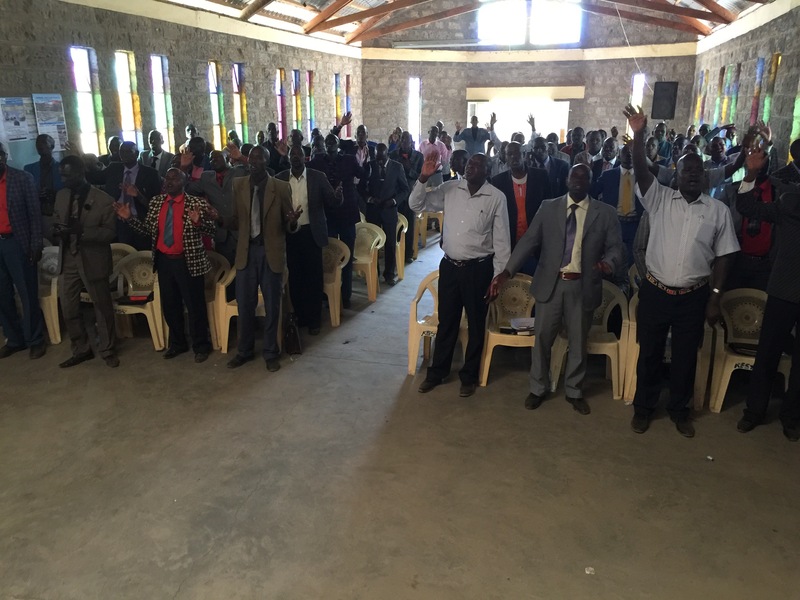 Thursday & Friday Revival Now Co-sponsored a two-day Pastors Conference with the Narok Pastors Fellowship. Mike Joyner taught on Vision and I taught on The Measure of Grace. There was such a hunger and a willingness to receive from over 160 pastors who gathered from all across Southern Kenya. In the closing service the power of God was so real, no one wanted to leave at the dismissal. That’s when you know God is in the house! We had several meetings with the Pastors Fellowship leaders discussing ways we can partner together to strengthen the Body of Christ, local churches and marriages across the region. We are also discussing the possibility of establishing our fourth School of Ministry in Narok that will help us reach pastors in Eastern Transmara and the Southern Narok County area of Kenya. On Saturday & Sunday afternoons Mike & I ministered in an outdoor meeting in the market in downtown Narok. This is not like a crusade where you set up in a field and people come to you to hear the Gospel. We set up right in the middle of a busy intersection, worshipped and preached the Gospel to anyone who would listen. I have been doing this type of ministry my entire life and it always stirs a great passion in me to preach a simple Gospel message to people. God loves humanity so much He made it very simple to receive Him! Seeds were planted, God was glorified and at least two MEN (not women or children) committed their lives to Jesus. Several others received prayer for healing as well. Something happens when MEN commit their lives to Jesus. Another highlight of this past week was the honor to preach for my friend Rev. Sam Moonka at Narok Baptist Church. I met Pastor Sam ten years ago in a conference in Mutenkuar, south of Kilgoris. At that time he was barely in his twenties but making hell shake with his powerful ministry of the Word. We have been praying for quite a while for the Lord to make arrangements for us to be together again in ministry. 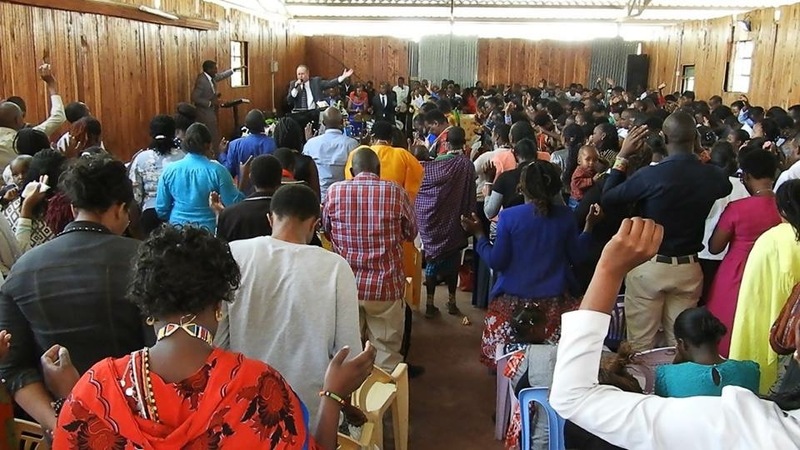 Narok Baptist Church is working alongside the Narok Pentecostal Assemblies of God and Pastor John Olempurkoi to tear down the religious and cultural traditions that are holding people in captivity in the region. The altar was filled with people repenting, seeking God and receiving a touch from His Glory! Our next outreach to Kenya will be April 4-30. We will lead the Malava School of Ministry, the Kilgoris Women’s Conference as well as the Kilgoris School of Ministry. $50 will sponsor one pastor or leader to attend the Schools of Ministry or one lady to attend the Women’s Conference in Kilgoris. This week we heard testimony after testimony of pastors and leaders whom God called to preach who are begging for basic instruction in the Word of God. Revival Now Kenya exists to help rural and unaffiliated pastors and leaders with a way of obtaining basic Bible instruction to help them in their ministries. Many of these pastors travel a great distance to minister in churches and receive little or no compensation for their labor, must less enough money to attend a school or even a conference to encourage them in their ministries. Your giving this month enabled us to help sponsor these meetings and give hope and encouragement to some very great men and women of God who have given EVERYTHING (and I mean EVERYTHING) for the Gospel. What you make happen for others, God will make happen for you. 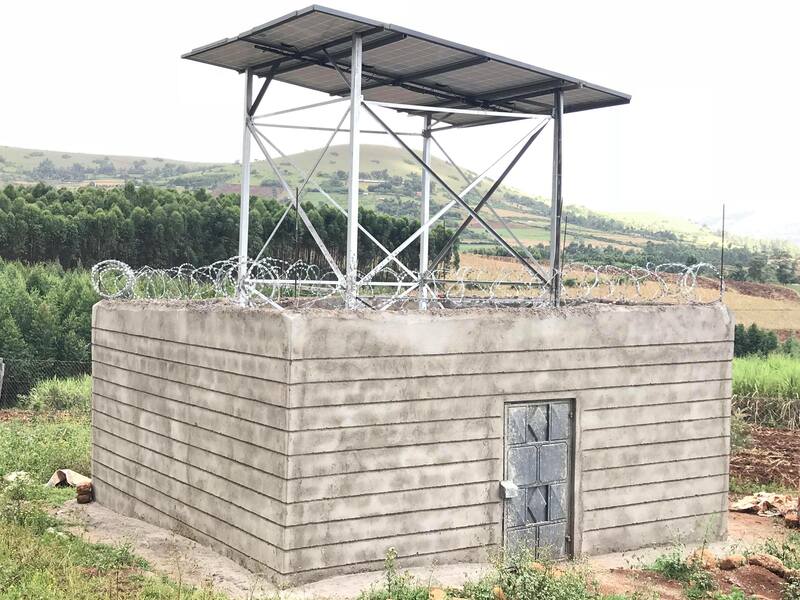 Would you consider being a part of helping us help others receive necessary tools to encourage them to continue their service to Jesus in the remote areas of East Africa? One of our partner ministries has graciously donated several boxes of Strong’s Concordances, Bible Study tools and Bible Encyclopedias to be used in the Kenya Schools of Ministry. We will be excited to teach these men and women how to use these tools in the days to come! 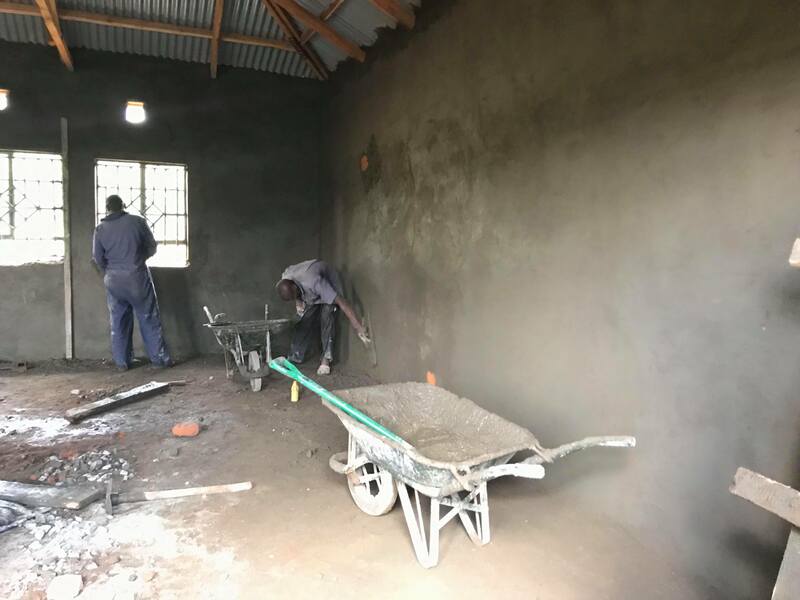 Finally, we are excited to report that construction is continuing at Hope Centre Children’s Home in Nyangusu. This week plaster was placed on the walls and the plumbing and electrical work began. We are trusting God that by our June Orphanage trip we will dedicate the first dormitory building for these precious children in SW Kenya. All gifts are tax deductible and greatly appreciated! 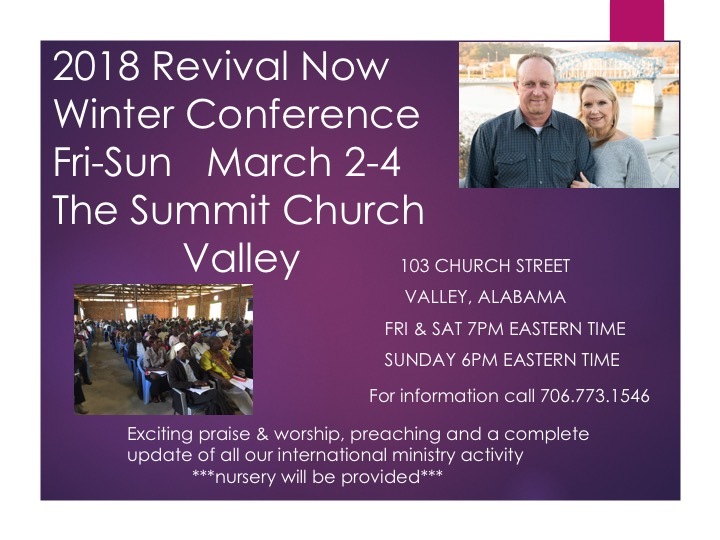 Finally, mark your calendars for March 2-4, 2018 in Valley Alabama for the 2018 Revival Now Winter Conference, this year hosted at The Summit Church in Valley. For hotel information, directions and other information, visit our website http://revivalnow.org/blog for details or call 706.773.1546.